Now this bestselling author has turned his attention to the sneaky stipulations hidden in the fine print of just about every contract and government rule. Johnston has been known to whip out a utility bill-any utility bill-and explain line by line what all that mumbo jumbo actually means (and it doesn't mean anything good, unless you happen to be the utility company). 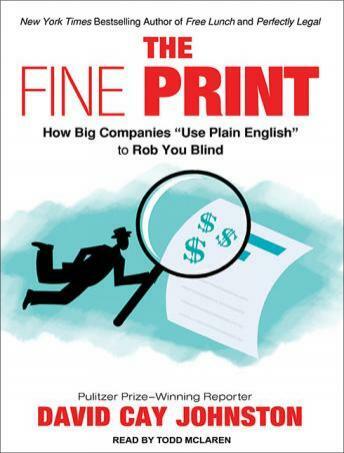 Within all that jargon, disclosed in accordance with all requirements to you, the unsuspecting customer, lie the tools many companies use to rob you blind. Even worse is what's missing-all the contractually binding clauses that companies hide elsewhere, yet still enforce.